New Years is just a few days away and you will want to make these sandwiches! They are so simple and perfect for feeding a crowd! You can serve them as an appetizer or as part of the main course. My grandma used to make these sandwiches and as a kid I never really cared for them but as an adult I love them! They are something that I make every holiday season to keep on hand because they make for a quick and easy meal. After you wrap the sandwiches in foil they need to cook for about 20 min on 350 degrees. The recipe makes about 16 sandwiches so whatever you do not plan on using you can freeze! So these also can be made in advance and freeze until you are ready to use!! These sandwiches also make a great addition to any party get together - so simple to make you will love them! Mix all ingredients together. Fill buns with mixture. 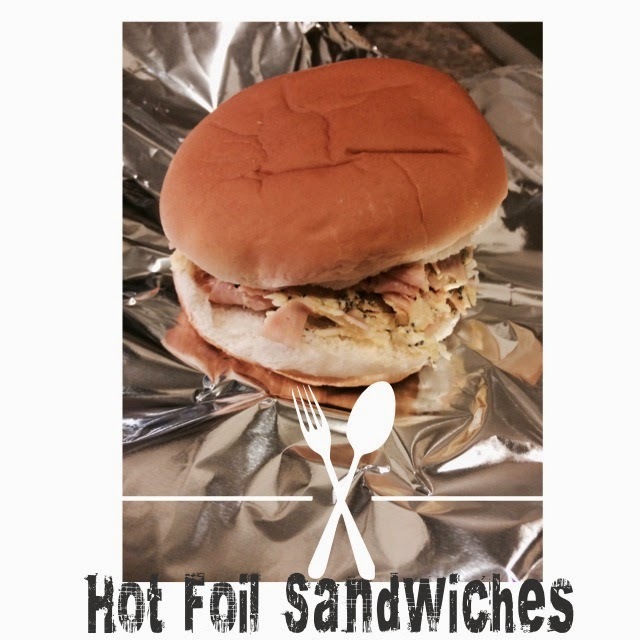 Wrap sandwiches in foil and cook for 20 min at 350 degrees. If frozen bake 45 min but keep an eye on it after 30 min - oven temps may differ.